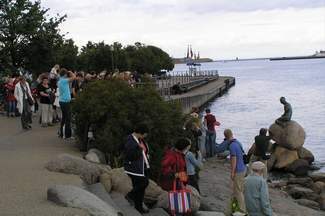 Above: Langelinie, where the cruise ships land and harbor in Kbh, lotsa tourist stuff there. Used to be because a lot of high-end (rich) tourists arrived and departed at/from this point. 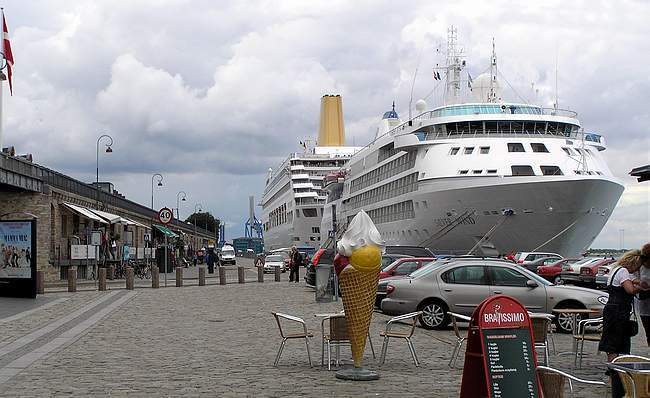 But the cruise ships have evidently become more affordable and popular among the common man, because there's a lot of them, especially in the summer. Each boat dumps thousands of tourists into town, 3 days later to sail away with them again, making room for the next boatload. Of course, the first time you come to "Copenhagen" you have to do tourist stuff. 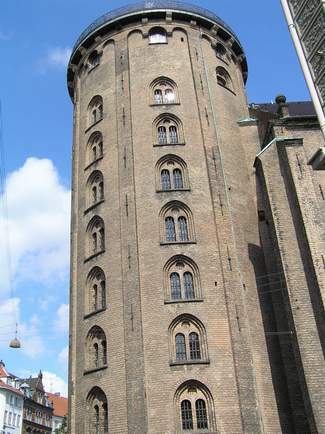 Go to Tivoli, tour the Brewery, go up in the Round Tower, see the Little Mermaid, etc. Well, all that can be fun, it's a nice town for tourists: not too big, not too small, language really no problem (unless you speak only Vulcan or something similar), and lots of stuff to do. But we who live in København go to work every day and don't have time to do that stuff--besides we've already done it long ago. Which can be sort of a shame sometimes, like forgetting how to be a kid again. Tivoli, for instance. When I first came to...Copenhagen...I loved Tivoli, went there 2-3 times a week, even though I was on a tight budget. Now my wife and I have local Årskort (year-cards) and still go there about once a month. 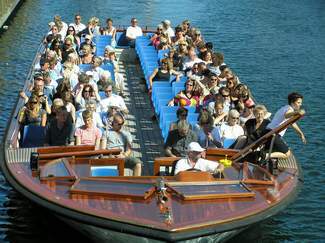 Kanalrundfart, the Canal Boat Tours; a fun way to see the city, and rest weary tourist feet. Marianne and I still do that once in a while, usually as in a birthday party group or something. There are tourist busses with guided tours, but when our friends visit we usually take them on a guided bicycle tour, which we consider much better. There's also a stupid little mini-train that rolls around town, from Rådhuspladsen to right on through Nyhavn--we've NEVER taken that one...yet anyway. 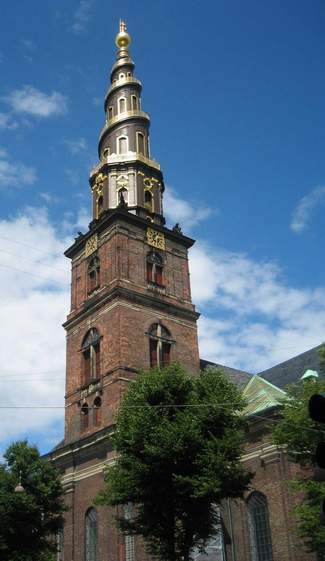 Tourists enjoy the contrasts in a foreign land, so they might check out the Museum of Erotica (never been there myself) and the spiral tower of Frelsens Kirke (Savior's Church). 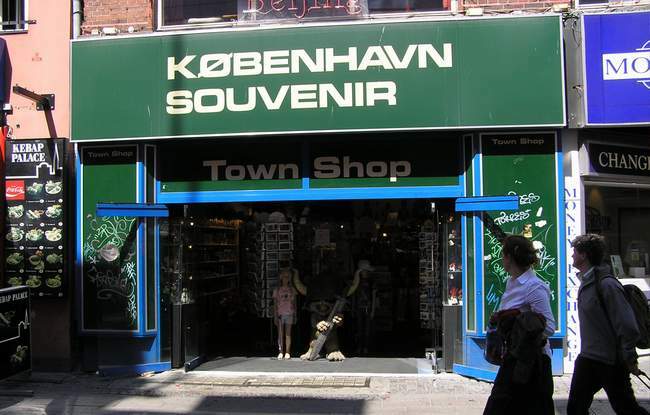 Below: the underbelly of the tourist industry, all the crap you can buy to remember "Copenhagen". How about a Tuborg t-shirt, or a tiny Lille Havfrue statuette?